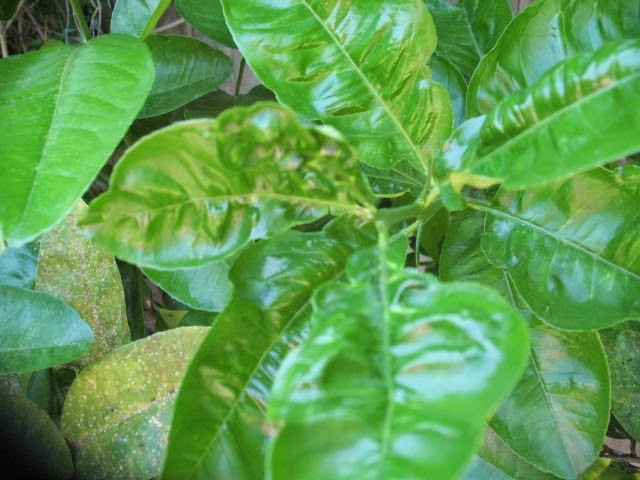 Lemon trees are often the prize plant of any collection so the slightest mark or errant leaf is always course for concern. Unfortunately curling leaves on a lemon plant is never a good sign and is usually caused either by environmental conditions or pest damage. 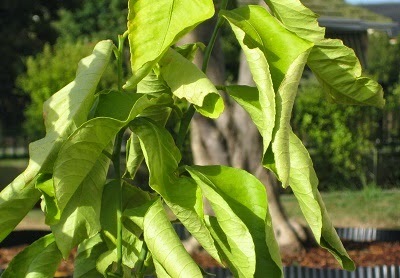 Perhaps the most common reason as to what causes lemon leaves to curl is down to prolonged, dry conditions. Plants lose water through specialist holes on the surface of the leaves known as stomata. In most plant species there is a higher density of stomatal pores on the underside of the leaf. When the plant senses water stress the leaves will tend to curl downwards, away from the central rib. Curling reduces exposure to drying winds and increases relative humidity around the stomatal pores significantly reducing water loss through the leaves. Of course if dry conditions continue the plant may take the extreme measure of dropping its leaves to cut water loss to an absolute minimum. 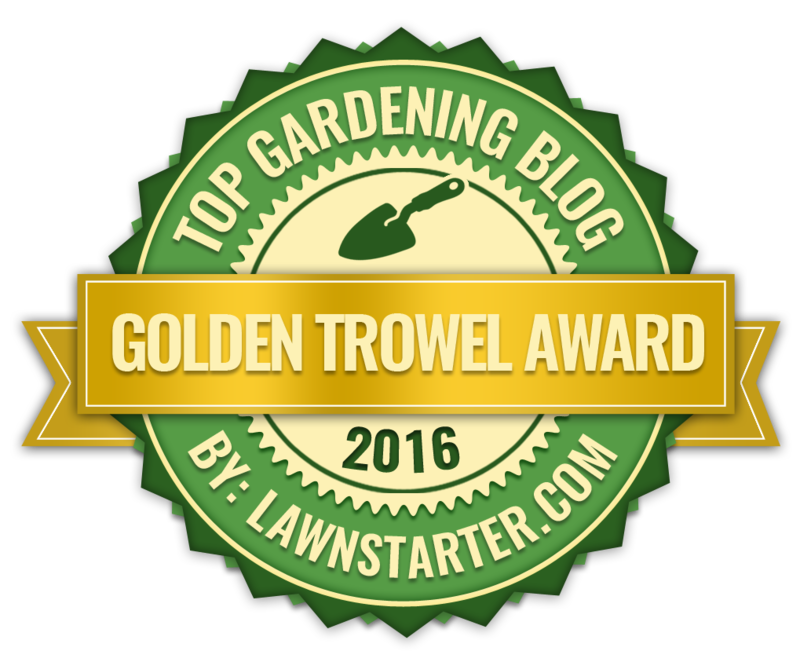 It may sound strange but the symptoms for over watering are exactly the same for under watering. Why? Too much water can easily damage the root system. The fine root hairs of a plant which absorb moisture from the soil require the presence of air to metabolise. If the root hairs are submerged for extended periods then they will die and therefore be unable to function. If the roots cannot function then they cannot draw water into the plant so the plants naturally begins to dry out. Dry, curling leaves from under watering, dry curling leaves from overwatering - same thing! Allow the roots to dry out before watering. In extreme conditions lift garden plants to help them dry out. Container grown plants will need to be removed from the pots and placed on old newspapers to help draw out the excess water. Cut stems back by 1/3rd and allow the plant to rest for a couple of weeks in a cool dry position before watering again. Allow the plant to dry out between watering and never let the roots become waterlogged for extended periods. The majority of caterpillars will be quite happy feeding openly on leaves, buds and shoots, however some caterpillar species produce a silk webbing which they use to draw the leaves together into a protective tent-like covering. In this instance the leaves are usually curled towards the central spine. Either remove the caterpillars by hand or apply a suitable insecticide. While mature lemon leaves are tough, waxy and generally consumed only by the most determined of caterpillars, the new growth is soft and appetizing to a range of biting insects such as aphids, mites and psyllids. Aphids prefer to bite into parenchyma cells and consume the sugary sap, while psyllids and mites consumes the foliage. 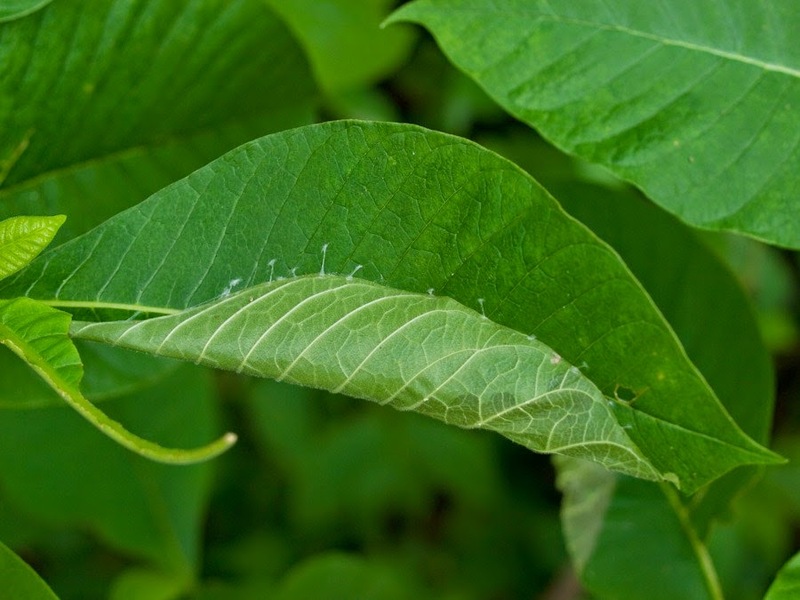 As pest populations increase the structure of the new leaf becomes contorted, often curled, as it grows as a direct result of the damage caused. Whichever pest is consuming attacking the new growth there are often associated discolourations, and in the instance of aphid damage sooty mold may be present. 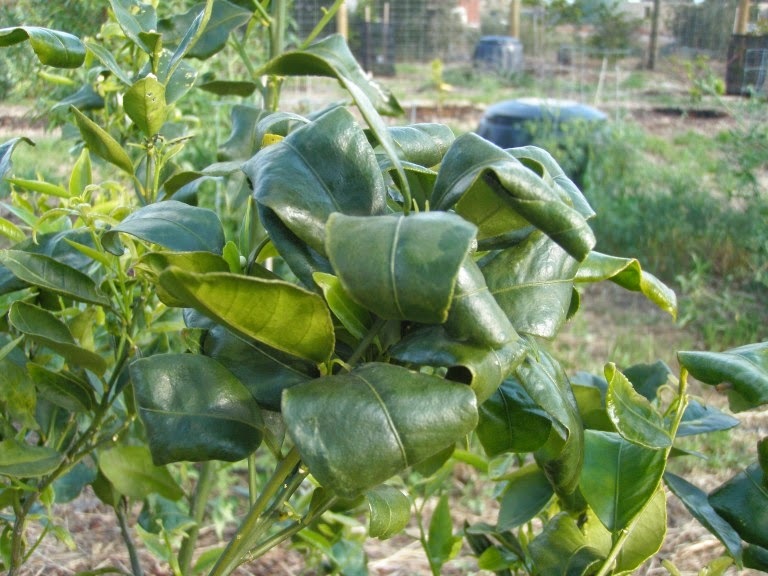 Sometimes lemon leaves will naturally curl downwards as a reaction to the colder night temperatures of autumn and early winter weather. This is nothing to worry about (unless it gets too cold) as the new growth in the spring will emerge perfectly. 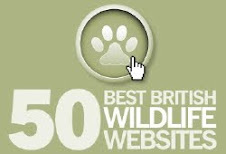 Unless it has been subjected to insect damage!